 Welcome to Dearborn Family Pet Care! This is our lobby area with an adoption room, children play area and plenty of room for you and your pet to feel comfortable while you wait. Natural light throughout the building thanks to all the windows we have. Our spacious lobby has plenty of room for all the different species that we see! We also have a cat adoption room, children play area and many sections of seating. For your comfort we offer magazines and water while you wait. We have a pharmacy conveniently located right here at our clinic! Homer (black and white in the left corner) and Lucas (black, right corner) really wanted to be part of this photo! Our main computer station where most of invoicing and computer work gets done. We have 5 exam rooms. This is the area where we do all dental procedures. We have a ultrasonic cleaner, drill and polisher, warm water blankets, anestethic monitor machine, and the possibility to take dental radiographs. All for the comfort and highest qualitive care for our patients! Dr. Good performing a dental procedure on a cat. All hospitalized patients that stay with us stay in here. Seen in the bottom cage is Payton, a hit by car with no owner. She ended up going home with one of our technicians who fell in love with her (the feeling was mutual!). in-house bloodwork so we can have results on the spot if needed for a patient. This is the center of our hospital where a lot of the action happens! We prepare for surgery here, it's also the recovery area since we can keep close eye on our patients. We have digital x-rays which means that we have results a lot faster and it's on a computer screen!! Our surgery suite is filled with the state-of-the-art machines such as laser machine, and anesthesia monitoring devices. Fecals, urinalysis, needle aspirates, ear swabs, skin cytologys are all being diagnosed here. We even have special "art" on the wall!